Karen B. Dine represents participants in every part of the capital structure in bankruptcy, insolvency and related matters. Her clients operate in diverse industries, including real estate, oil and gas, retail, manufacturing, gaming and hospitality, aviation, life sciences, food and beverage, chemicals and mortgage lending. 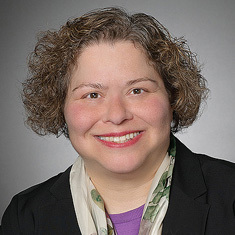 With more than 20 years of experience in bankruptcy law, Karen counsels institutional lenders, secured lenders, indenture trustees, investment and private equity funds, debtors-in-possession, equity, creditors' and bondholders' committees, distressed debt investors, trade creditors, real property and equipment lessors, and troubled companies in Chapter 11 bankruptcy reorganization proceedings and out-of-court restructurings. She advises on both financial and operational restructurings throughout the United States, and routinely assists clients with the purchase of assets of financially troubled companies or companies in bankruptcy. Representation of the indenture trustee for $6.4 billion first lien notes issued by Caesars Entertainment Operating Company, owner and operator of Caesars Palace Hotel and Casino in Las Vegas and 38 owned or managed gaming and resort properties located in 14 states and five countries, operating primarily under the Caesars, Harrah’s and Horseshoe brand names. The Chapter 11 case is pending in the US Bankruptcy Court for the Northern District of Illinois (Chicago). Representation of collateral and indenture trustee for $725 million first lien senior secured notes issued by Cengage Learning Acquisition Corporation in the $7 billion debt restructuring of this textbook publisher. Chapter 11 case filed in the US Bankruptcy Court for the Eastern District of New York. Representation of indenture trustee for $200 million notes issued by Nortel Networks Limited (Canada) in connection with the $7 billion Nortel sale proceeds allocation dispute litigation in the joint proceedings in the US Bankruptcy Court for the District of Delaware and the Ontario, Canada Superior Court of Justice. Representation of Basis Yield Alpha Fund as debtor’s counsel in connection with its Chapter 15 case. Representation of the official committee of equity security holders in Chapter 11 case of In re Solutia, Inc. (NYSE:SOA) in the Southern District of New York. Solutia is a multinational manufacturer of high-performance, chemical-based materials for industrial and consumer use with more than $2 billion in reported consolidated liabilities as of the petition date. Representation of administrative and collateral agent for the $275 million second lien credit facility issued by Revel AC, Inc. and secured by the Revel Hotel and Casino in Atlantic City in connection with the Chapter 11 case in the US District Court for the District of New Jersey. Representation of indenture trustee for $250 million secured bonds in connection with the Chapter 11 bankruptcy of Green Field Energy Services in Wilmington, Delaware. Representation of collateral and indenture trustee in the restructure of $143 million mortgage notes issued by Circus Circus and Eldorado Joint Venture and secured by Silver Legacy Resort Casino in Reno, Nevada. Silver Legacy is an 87,300-square-foot casino with a 37-story hotel tower with 1,711 guest rooms. The Chapter 11 case was filed in Reno, Nevada. Representation of institutional lender as administrative agent for second lien lenders in the restructure of $266 million credit in the Penton Media Business Holdings (Penton Media) pre-packaged Chapter 11 case in the US Bankruptcy Court for the Southern District of New York. Penton Media publishes 113 business magazines, hosts trade shows, conferences and road shows, and provides various electronic media offerings and other Web-based media products. Representation of the administrative agent for a $600 million exit financing facility as part of phone directory publisher Dex Media’s Chapter 11 prepackaged plan. Representation of indenture trustee in a “bet-the-company” case against a putative class action related to the company’s role as indenture trustee to a $40 million bond issuance, and the indenture trustee’s alleged breach of fiduciary duties, and contractual obligations, after issuer of notes declared bankruptcy and was alleged to have been engaged in a massive Ponzi Scheme. Representation of institutional lender as administrative agent on behalf of multiple lenders in connection with the restructure of a defaulted $160 million credit facility owed by a Las Vegas-based operator of four casinos (one with adjacent hotel), 40 gaming "taverns" and a 154-location slot-route operation. Representation of institutional lender as successor administrative agent in restructure of defaulted $550 million senior notes issued by Green Valley Ranch Gaming, LLC in its Chapter 11 case in Reno, Nevada. Representation of Regus Business Centers et al. as debtor’s counsel in connection with their Chapter 11 cases. Representation of collateral trustee on behalf of $1.2 billion worth of debt in the Loewen Group International, Inc. Chapter 11 case. Representation of Holt Group, Inc. as debtor’s counsel in the debt restructuring of the largest commercial stevedoring operation in the eastern United States.